Architectural Review Board (ARB) approval is required for new structures, modifications to at least 20% of the face of an existing structure before a building or zoning permit is issued and for certain types of signage. The ARB exists to review and approve exterior aesthetics and architectural suitability for proposed construction and remodeling within the Village of Wind Point. The purpose of this review and approval is to help maintain high quality standards, enhance property values, present a positive and inviting community image, and to foster good relations among neighbors and residents. The ARB is concerned with both the view of construction that may be seen from Village streets and the rear view of construction that is seen by neighbors. ARB review is not required for replacement of architectural components with like or substantially similar components as well as roof repairs and replacements. A wide variety of design, details and styles are welcome from classical/traditional to contemporary/modern design. Design continuity is encouraged for all faces of the residence, additions, garage and outbuildings. The ARB will also consider the design of other proposed or existing items on the subject property, including out-buildings, decks, gazebos, enclosures, fencing and gates, outdoor fireplaces or furnaces and other items. Roof slope should extend the continuity of the home. Natural and traditional building materials are encouraged. Colors generally are approved that range from white and neutral colors to earth tones. Extreme contrasts or startling colors are discouraged. High quality materials, doors, windows, shingles, etc. are encouraged where possible and where consistent with surrounding development. Landscape planning, design and execution should integrate the site and the facilities, and be compatible with surrounding development. 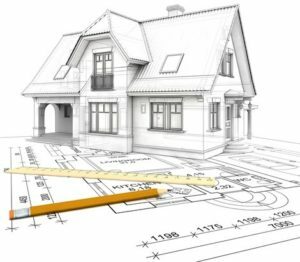 Site development may also be subject to zoning requirements and subdivision requirements. Unique and special architectural building designs; themes, textures, materials, colors or styles may be considered. Exceptions are considered if they are well-planned and designed, incorporate continuity of design and enhance the Village image without distracting from neighboring development. Completed ARB Application and Application Fee. Scale drawing of all exterior elevations showing the design and appearance of the building or structure as proposed to be constructed or altered, including colors and textures of materials or samples. Please include photographs that represent the project intent and the surrounding area. Incomplete applications will not be processed. After an application is received, an ARB meeting will be scheduled with the Architectural Review Board. The applicant or a designee must be present at the meeting. The ARB will review the proposed project and make a determination based on the various criteria listed above. Download the ARB Application from the Licenses & Permits page.